Should the University of Nebraska hire a Vice Chancellor of Diversity and Inclusion? Today I would like to show you why this is a huge mistake. Hiring a Vice Chancellor of Diversity and Inclusion won’t diversify the faculty. The only study ever completed on this subject was submitted in August to the National Bureau of Economic Research. 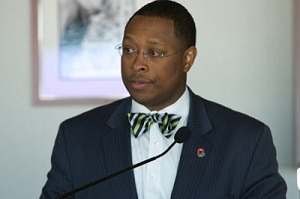 After looking at 462 research institutions in the United States, James West along with his team of researchers concluded that they “were unable to find any statistically significant increase in faculty diversity after the creation of a chief-diversity-officer position.” So, Hank Bounds, Ronnie Green and the 17 member search committee are only fooling themselves into believing that hiring a Vice Chancellor of Diversity and Inclusion will somehow diversify the faculty at the University of Nebraska. Hiring a Vice Chancellor of Diversity and Inclusion is too expensive. The salary for a Vice Chancellor of Diversity and Inclusion would most certainly be in the six-figure salary range. For instance, James Moore III, who is the Vice Provost of Diversity and Inclusion at Ohio State University draws an annual salary of $197,272. Moreover, Donnie Perkins, who works as the Diversity Dean for Ohio State’s College of Engineering makes $265,044 per year. As you can see, the six-figure salary alone makes this a bad choice for Nebraska. The cost of hiring a Vice Chancellor of Diversity and Inclusion runs much deeper than simply paying for his or her salary. The fact of the matter is that a Vice Chancellor of Diversity and Inclusion will want to hire a staff. The Diversity office at Ohio State University has a staff of 88 employees with an annual payroll of $7.3 million. The Diversity office at the University of Michigan employs 100 staffers for an annual payroll of $11 million. So, the cost of hiring a Vice Chancellor of Diversity and Inclusion would likely cost the University of Nebraska millions of dollars in the end. Contrary to the opinion of UNL’s administrators, diversity and inclusion programs never result in treating all students the same. The cold, harsh reality of all diversity and inclusion programs is that they attempt to prevent discrimination against certain groups by discriminating against other groups. The fundamental mistake in the diversity and inclusion worldview comes in the way they value results over opportunities. Diversity and Inclusion officers are always charged with the task of helping disadvantaged students succeed in college, but this practice only discriminates against those who are perceived or misperceived as having some kind of advantage. To the contrary, I believe the only way to make things truly fair at the University is to treat everyone with dignity and respect and to offer all students the same opportunities without guaranteeing them or offering them the false hope of results. Whenever students are guaranteed the same results, instead of the same opportunities, the incentive to achieve is lost. It is no different than the Pee Wee League which provides trophies for everyone who participates; participants quickly learn that there is no need to practice, to study, or to try hard when the gift of a trophy or a college degree is always waiting for them in the end. Diversity and inclusion undermines real academic freedom. While the proponents of diversity and inclusion view themselves as the torchbearers for tolerance, tolerance for opposing viewpoints is never what they really care about. Instead, they become walking contradictions. In order to help you see this, consider how NU President, Hank Bounds, responded to my first article against the hiring of a Vice Chancellor of Diversity and Inclusion. Bounds said in a written statement: “…I’ve seen again and again that we are stronger when we serve alongside people who don’t look or think like us,” but, then he went on to contradict himself by expressing his intolerance for my point of view: “For any elected official to champion these kinds of dangerous views only serves to damage our great state…” Bounds cannot have it both ways: Either he tolerates differing points of view or he does not! Bounds and Green do not really care about diversity. If Bounds and Green really cared about diversity, they would begin by diversifying the English Department!